Pamper yourself with this relaxing package of treatments in a customized sequence that features water cannons, jet streamed water massage, and bubble seats for an effective combination of full-body relaxation and help with problem areas. Improved skin tone and circulation are just two of the rejuvenating effects of thalassotherapy. The thalassotherapy program is effective for relieving stress, combating insomnia, relieving mental fatigue, and easing muscular and joint pain. 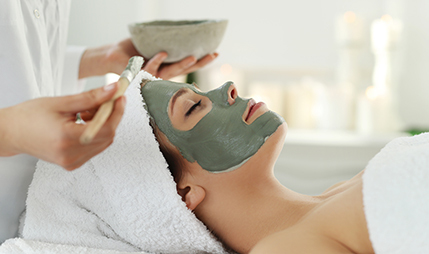 A full body sea mud wrap with mud that helps the nourishing elements penetrate the skin. Sea mud wraps improve skin tone and relieve sore muscles and joints. Tip: Ask the spa counselors for underwater resistance equipment for your arms and legs. The thalassotherapy program is effective for relieving stress, combating insomnia, relieving mental fatigue, and easing muscular and joint pain. Restores body energy, revitalising, moisturizes & improves skin firmness. An alchemist’s secret from Antiquity, which blends the four elements of life: water, air, earth & fire. The best-known goal of the alchemists was the transmutation of common metals into gold. This exclusive skin therapy harnesses nature’s most luxurious element - GOLD and the delicate scents of wildflowers from the plains and desert with incredible revitalizing effects that rejuvenate skin and boost vitality. A gentle body exfoliation using apricot peeling, minerals, and passion flower to leave the body glowing. Smoothness, suppleness and body energy are restored with the application of a rich body mask. Finish with a light massage with replenishing body cream for deep moisturizing, while sipping the Potion of Life! Slimming, reduces cellulite and enhances metabolism. 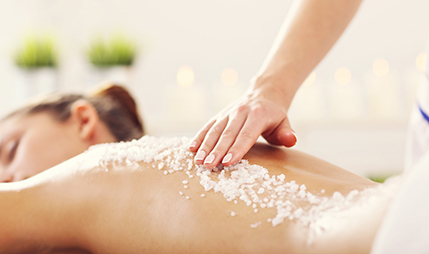 A light body scrub exfoliates and prepares the skin for the Special lymphatic massage that follows and tones the lymph circulation. Applying a mask rich in elements from the Dead Sea will detoxify and tone the skin. A treatment of total relaxation that revitalizes, moisturizes and reconditions the skin. The scrub with apricot grains followed by the natural mineral argyle Rhassoul deeply detoxifies the skin and prepares it for a totally relaxing massage with a combination of the essential oils rose and jasmine. Surprise your partner with a signature treatment for two. Choose between our unique treatments according to your needs. An absolutely sensual ritual to tantalize and delight! Succumb to the touch of romance at Elixir Spa and get into the mood for love. Share an unforgettable experience with your partner: on twin massage beds, enjoy an orange and sugar body scrub, followed by natural sponge wash with rosewater. For a perfect finale indulge in a sensual relaxing partner massage with essential oils that will free your mind, relax your body, and transport you both straight to bliss. The Passion Ritual for 2 combines the rejuvenating effect of fragrances with the wealth of aromatherapy and the caress of warm herbal extracts. Relax in the scent-laden atmosphere and bask in the pleasure of a warmed candle oil that nourishes the skin while a soothing massage helps the body eliminate tension. A sensory experience just for couples, which will have you ‘walking on clouds’. 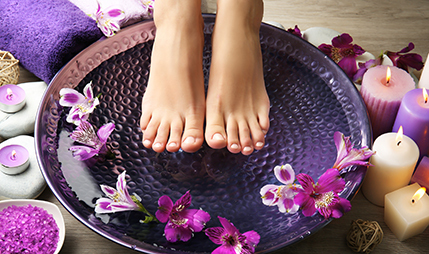 This treatment, inspired by the grooming rituals of the Classical-era beauties, consists of a total full body aromatherapy, a drainage massage, head and face massage, reflexology on feet/hands/ears, and Shiatsu. A body treatment with essential oils and aromatic plant extracts. A silky touch which combines essential oils and special relaxing movements. The small molecules of the essential oils are absorbed immediately by the body and contribute to a feeling of well-being and revitalization. Indulge in a caring touch which is in complete harmony with the very special period of your pregnancy. Mom-to-be massage relieves the stressed zones and at the same time strengthens the blood circulation and enhances the lymph flow of the body. The specialized, soft and caring handling of this technique offer a safe treatment that embraces your needs as well as your baby’s. A unique treatment specially designed for children. Touch is a natural healing therapy. The Kids Massage is ideal for boys and girls aged 5 to 16 years. Natural hypoallergenic oil is applied with a gentle massage. 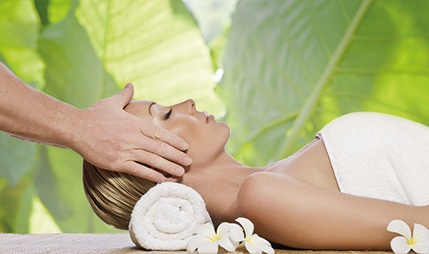 The qualified therapists gently massage the muscles and joints (hands - back - legs- face -neck - scalp - hair). Regular treatments help to reduce tension and offer a sense of relaxation resulting in tranquil, restful and quality sleep. The massage helps in muscle and bone development and enhances movement and flexibility. Treatment for youngsters and teenagers provides a sense of relief and security, while regular use can help the child gain balance and maturity. The extract of caviar is the secret ingredient in this ultra-nourishing, deep moisturizing body treatment that tones and firms the skin, leaving it smooth and radiant. Reduces cellulite and activates metabolism. 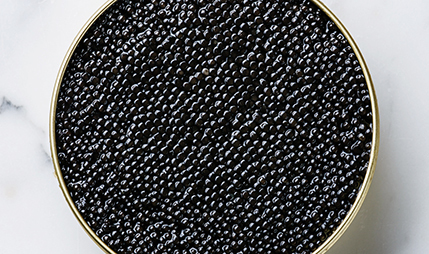 Nutrient-rich caviar has a cell format similar to human skin so that the vitamins and minerals are easily absorbed, enhancing cell regeneration. This after-sun body treatment soothes and refreshes the skin after sun exposure! A specific body wrap with hibiscus flower extract repair the skin, and a complete body moisturizing soothes the sunburn. Intensely hydrated, the skin is soft, and the body is perfectly relaxed. Complete body treatment to redraw the silhouette, reduce the appearance of cellulite, tone and give a feeling of lightness and well-being to the body. This body mask has a ‘sauna’ effect and acts effectively on fatty areas. The skin transforms from the first application onwards: the epidermis is firmer, smoother and softer. The movements encourage the mask to heat up, providing excellent stimulation of the metabolism. The skin is soft, supple and more tonic. Associated with the massage, this body oil reduces the cellulite. Detoxifying, balancing, age preventing. The ultimate in building your skin defences using anti-oxidants, this treatment instantly hydrates and balances, boosting oxygenation to the skin cells. Using the exclusive Anne Semonin Oligo range of products, an advanced formula combining dynamic ingredients such as algae and chlorella, ensures a clear skin, thoroughly protected from the urban environment. Calming, hydrating, restoring. The secret to soothing even the most delicate skin lies in the exquisite blending of minerals and essential essences. Skin is prepared with gentle cleansing and exfoliation before delighting in the application of the luxurious Anne Semonin cream mask. The generous application of the algae and kaolin clay formula smoothes and nourishes skin revealing a perfectly calm and soothed complexion. Anti-ageing, ultra-firming, toning. Define the ageing process with this quintessential regenerating facial therapy. Signs of aging dissolve as essential oils and minerals are gently massaged into the skin improving tone and elasticity. Mature skins will appreciate the extracts of Mexican wild Yam root and vitamin A & E which provide the ultimate defence against environment aggressions and help maintain a youthful radiance all the way to a cellular level. An effective treatment to combat early signs of skin ageing. A firming facial designed to combat the visible signs of ageing. Excellent for mature, dehydrated and dry skin. Neurocosmetic ingredients are combined with 100% Active Serum and modern cryotherapy to give the skin back its natural, youthful glow. The result is instantly firmed, younger-looking skin. A superb treatment to prepare for special occasions. Brightening, distressing, refreshing. An exquisite treatment specifically designed for the delicate eye area. A unique combination of contour masks and specialized lymphatic massage, ideal for reducing the signs of ageing and melting away stress. Cryotherapy ice cubes diminish puffiness and refresh the eyes. Finally, a divine application of miracle eye cream completes the total eye care experience. Α unique cleansing treatment with Black Caviar. You'll see immediate results from this exclusive facial treatment for oily and problem skin. includes application of a mask with Black Caviar to draw out impurities and cleanse skin below the surface. This deep moisturizing treatment leaves skin glowing and supple. Get your skin into immediate shape with this unique express mask suitable for mixed skin types, acme, freckles, scars, open pores and wrinkles. Based on biological-natural fruit extracts: pineapple, papaya and vitamin C, the gentle fruit enzymes digest the old, rough skin cells on the top layer of the skin to reveal the smooth, rejuvenated skin beneath. The skin becomes radiant, fresh and fine pored.